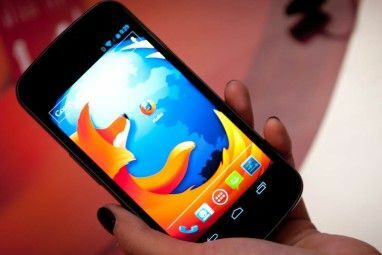 If you are in high school or college Get Productive Now With The Best Back-To-School Browser Set-Up Get Productive Now With The Best Back-To-School Browser Set-Up From extensions to bookmarks that you will use throughout the school year, taking some time at the beginning of the term to get your browser ready will save you time later. Read More , you have probably seen the number of educational apps available Change the Way You Learn & Teach with 15 Educational Chrome Extensions Change the Way You Learn & Teach with 15 Educational Chrome Extensions Your school might not be going with Google for Classrooms yet, but you can start your own initiative with the most ubiquitous Google tools of all – Chrome with its ocean of educational apps and... Read More on the Chrome Web Store. It can be tough to narrow it down or find the perfect tool to suit your needs. 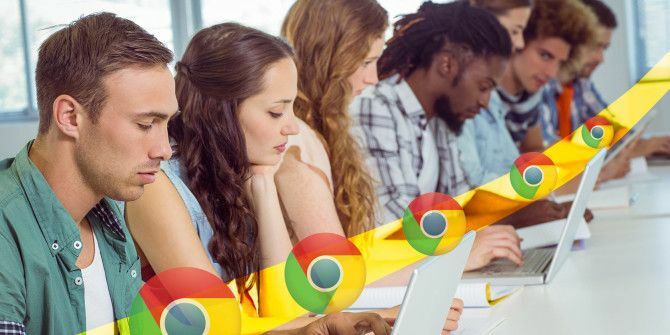 For specific subjects as well as keeping track of school assignments, grades, and tasks, these 10 Chrome apps will get you off to the right start this school year. The Unit Converter app provides six different conversions including length, weight, temperature, volume, area, time, speed, pressure, and frequency. You simply enter your value and choose your conversion type from the drop-down box. For instance, you can quickly convert a unit from square feet to square meters, hertz to megahertz, or gallons to liters. Click the Convert button and a pop-up window will provide the result. For quick conversions of the most common types, Unit Converter is a handy Chrome app. Although created for GED students, this scientific calculator is a convenient tool for any student to have. The app offers direct entry of fractions, conversions between fractions and decimals, percentage and pi buttons, and unlimited parentheses levels. GED Scientific Calculator includes a good help section to assist you if needed. You can also store numbers in the memory and take advantage of keyboard shortcuts to work even faster 6 Simple Steps to Be a Better Student with Chrome 6 Simple Steps to Be a Better Student with Chrome It's time for students to get prepped for action, and these days this means ensuring your browser is set up to be efficient, save you time and keep you organized. Read More . The Model Periodic Table app is an interactive tool that helps you obtain information on metals, non-metals, gases, halogens, and other elements. Clicking on any one of them will pop the details into the table at the bottom. This nifty app also provides a few extra features such as lessons, quizzes, and a quick Wikipedia reference for any element. All items are self-contained, so you will just see a pop-up window without the worry of being redirected to a website. Before paying for a periodic table app for Chrome, check out Model Periodic Table. KineMan is a solid Chrome app for those studying the sciences and anatomy. This app gives you a movable, 3-D human skeleton with realistic joint activity and a human pose tool. You are able to select joints, move them by dragging across the screen, or using the sliders. The KineMan app provides identification for over 200 human bones, 100 joints, and measurements with the flexibility to twist, turn, rotate, and move the skeleton. For a simple bone and joint identification tool with movable features, this one is certainly handy. Taking the study of anatomy a bit further is Human 3.0. This amazing 3-D model includes a variety of systems including skeletal, digestive, muscular, nervous, and respiratory. The app provides a completely interactive way to view and learn about the human body. While this Chrome app will open in your browser, you will be glad it does because the full view makes the experience much better. You can choose to display a male or female, enable and disable each system and sub-parts, and then receive a description of any part selected. Human 3.0 is a terrific Chrome app for those studying the human body. If you are taking a chemistry class, then Chemix Lab Diagrams is a unique and fun tool. With simple click-to-drop actions, you can create diagrams for your class projects and presentations. Choose your containers, measurements, heating, filtering, transportation, and other tools and just move them to the right spot for your diagram. When you have completed your diagram, you can save it to your computer or export it as an image. You can also save your diagram and load it back with the Quick Save and Quick Load options. For your next chemistry class project, check out Chemix Lab Diagrams for Chrome. For calculus, Derive+ offers a fast and easy way to hone your differentiation skills. Just enter the values and click the Output button to obtain the results. The app has a method section that explains the power, product, quotient, chain, and natural log rules. There is also a practice area with a few problems for you to solve. If you need a simple derivative calculator for class, Derive+ works well. For access to over 45 scientific and engineering calculators, plus more than 10 math calculators, the Math Science Engineering Calculators app for Chrome delivers. 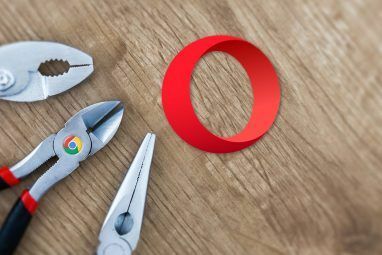 When you access the app, a tab will open 12 Gorgeous Chrome New Tab Extensions You've Probably Never Tried 12 Gorgeous Chrome New Tab Extensions You've Probably Never Tried You open a new tab when you have a destination in mind, so your eyes are going to rest on it only for a few seconds. Wouldn't you like the tab to look beautiful? Read More showing you all of your choices. Each has a nice description and with one click, you are on your way. From capacitor design to friction equations to kinetic energy calculators, the help you need is right at your fingertips. Select any calculator link and then just enter values and choose your options from the drop-down boxes. You will also see conversions and other units for additional assistance. Math Science Engineering Calculators is simply a great and useful app. Now that you have the apps you need for school, keep your homework, classes, and calendar organized with myHomework Student Planner. If your teachers use Teachers.io, you can add them to the app automatically and if not, manual class entries are just as easy. Keep track of homework with Complete, Late, and Upcoming sections. Pop open the calendar to double-check your class times and assignments due. You can also download the myHomework app to your iOS or Android device so that you are always in sync. StudentBook offers another wonderful option for staying organized How to Use OneNote at School: 10 Tips for Students & Teachers How to Use OneNote at School: 10 Tips for Students & Teachers OneNote can transform the modern classroom. The note-taking app from Microsoft is designed for both students and teachers. Go ahead and organize, collaborate, and share with these tips for better note-taking. Read More . You can easily keep track of tasks, exams, grades, and a timetable. The app will open a new tab displaying all of your information, starting with current items. The premium version of StudentBook provides colored subjects, quick actions, and grade charts for $4.99 yearly. However, the free version in Chrome works great for fast and simple organizing. 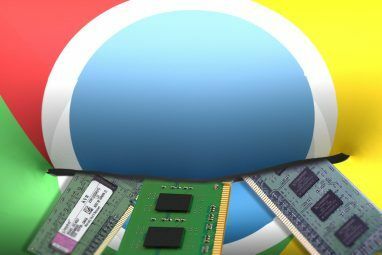 Which Chrome Apps Do You Use for School? Are there some awesome educational apps for Chrome that you use? Whether for a specific class or just for staying organized How to Start the School Year Right with Evernote How to Start the School Year Right with Evernote Going back to school is another opportunity to organize your study notes. Evernote is the note-taking app that can help you manage your school load. Here are some smart note organization tips for class. Read More , tools like these can be invaluable. So, if you have one you would like to share, please feel free to comment below!